If you are Googling the phrase “Best Insulation For Garage Doors” while trying to figure out what type of insulation works best for your garage door, this article should help. Furthermore, you no longer need to keep searching; you have found the best insulation for garage doors, walls and attics! 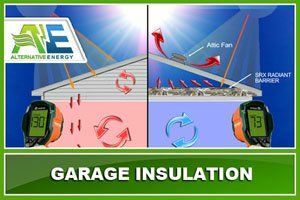 Read more below about this revolutionary new garage insulation product. The Best Insulation For Your Garage Door Is SRX! SRX or SuperReflex is the best insulation for garage doors, garage walls and garage attics. SRX is the most versatile garage insulation on the planet! Furthermore, SRX also works for residential, commercial and industrial insulation applications altogether. It’s the most versatile insulation/radiant barrier product in the industry capable of many residential, commercial and industrial insulation applications. 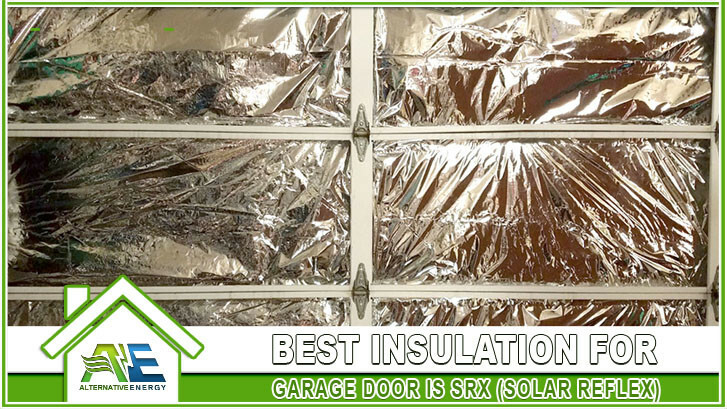 SRX also works as a radiant barrier for your garage. SRX is the best insulation for garage attics because it reflects more heat than any other radiant barrier on the planet. Furthermore, it has the lowest emissivity level of any material on the planet with a .02 emissivity rating. Meaning, it rejects more heat than any material or insulation in the world. And, when combined with our high powered attics fans, you are sure to feel the temperature difference immediately. The best insulation for garage walls is SRX, blown in insulation and spray foam insulation. These are 3 of the easiest and least expensive ways to install wall insulation in an existing garage. Most of the time the insulation contractor only need to make a small hole to blow or spray the insulation in the wall cavity. We combine SRX with either blown in insulation or spray foam depending how the garage was constructed. Most garages don’t have insulation because they weren’t built with energy efficiency in mind. They were meant to be used as a parking garage or additional storage. These days more and more people are using their garages to work in. Schedule your free garage door insulation quote or give us a call at (480) 744-1803 if you want to discuss custom orders. Also learn how you can save up to 99% on electricity with SRX and other Energy products we install! 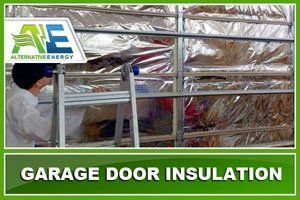 Alternative Energy, LLC is a garage door insulation contractor in Phoenix offering garage insulation, garage mini splits and garage door insulation installation services in all major cities of the entire Phoenix Metropolitan Area. Our service area includes: Phoenix, Mesa, Tempe, Scottsdale, Chandler, Gilbert, Fountain Hills, Peoria, Surprise, Sun City, Youngtown, cities. We help keep your garage cool in Arizona!